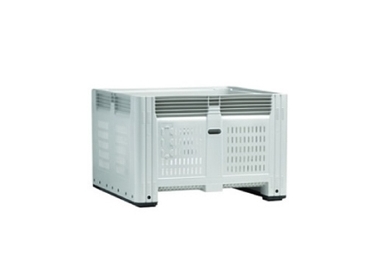 SA Crate offers a vast amount of crates and containers of every size, shape, size and capacity. There is also the choice of colour, material and feature to suit all. The Mega bin MS780S provides a means of harvesting and transporting products and fresh produce with a reusable product. With a total capacity of 780 litres, the bin is easily lifted with a fork lift or pallet jack. The bins are stackable, ideal for racking and storage and are manufactured to a high standard using Ultra Violet protected and treated polymers. SA Crate also has two other mega bin models available. The MS780V and the MS730S both carry a similar amount but just are different in shape and colour.